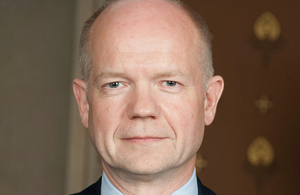 Below is the text of the speech made by William Hague, the Foreign Secretary, in the Philippines on 30th January 2014. Magandang hapon” [Good afternoon]. It is a great pleasure to be here in the Philippines. I am grateful to the Asian Institute of Management for hosting this event, and I am delighted to see so many young people in the audience as well. You represent the future of your country of course, and I look forward to taking your questions at the end of my speech. I am here in Manila today because the United Kingdom government is set on building an even stronger relationship with the people and government of the Philippines: a relationship that is forward-looking; characterised by optimism, dynamism and trust, and founded on our common values. Your high rates of economic growth are a testament to strong economic policy and the hard work of Filipinos at home and abroad, including thousands in my own country. Your government can also be proud of its work to embed good governance. The Philippines clearly has the potential to be one of Asia Pacific’s great success stories and we want to support you in that, to the benefit of both our peoples. We are increasing the number of Chevening Scholars from the Philippines able to study in world-class British Universities; new direct flights between London and Manila are boosting tourism in both directions; the Prime Minister has just appointed a Trade Envoy to the Philippines, George Freeman MP, who will no doubt strengthen the flourishing business links that saw British exports to the Philippines rise 13% last year; and I am told I have arrived in the middle of a five month celebration of Britain in the Philippines. You may be surprised to know that the British nomination for this year’s Foreign Language Film at the Oscars was a film made here in the Philippines by a British director with Filipino actors. That film, ‘Metro Manila’, is in Tagalog, and it has already won three awards at a British film festival. It goes to show what British creativity and Filipino talent can accomplish together and it illustrates the potential that there is in our relationship. In Britain we deeply admire the resilience, fortitude and community spirit you demonstrated after Typhoon Yolanda. Thousands of British people gave money to support your relief effort, raising more than two billion pesos in just four days as part of the more than twelve billion pesos provided by the Government and people of the United Kingdom, along with the two Royal Navy vessels HMS Daring and HMS Illustrious, which we despatched to enable aid to reach isolated communities. You have shown the same spirit in working to bring an end to the terrible Mindanao conflict, which has taken so many lives and caused such suffering. I am particularly glad to be able to visit so soon after the completion of the Comprehensive Agreement on Bangsamoro, which I have just discussed with your Foreign Secretary. The success of those negotiations is a testament to the vision and determination President Aquino and all those involved, some of whom I had the great pleasure of meeting last night. I am proud of the support the UK has been able to offer as part of the International Contact Group supporting these negotiations. We know from our own experience in Northern Ireland that implementation brings its own challenges, but it will also bring rewards, both for Mindanao and for the whole of the Philippines. You have found a Filipino solution to a problem that has divided the Philippines for too long, and I have no doubt that it can be an inspiration for other countries who are struggling to overcome their own conflicts and divisions. As this example shows, our engagement in Asia is as much about security as it is about as trade and prosperity, since these are all inextricably linked. We are setting our country firmly on the path to far closer ties with countries across Asia over the next twenty years; and on a completely new footing from the past. We want Britain to be a leading partner with Asian countries, in trade and commerce, in culture, education and development, and in foreign policy and security. Our government is investing the time and effort to develop the political relationships and, we hope, the deep understanding to support this vision over the long term. This means investing in our relationships across the Asia-Pacific, from old friends like Japan and South Korea in North and East Asia, to Britain’s long standing allies Australia and New Zealand, and with our partners in South East Asia where we are building dynamic new relationships, including with the Philippines. It also means building a strong and open partnership with China fit for the 21st Century, which is why, in December, the Prime Minister led a large delegation to China to advance our political, economic, business and cultural ties. As well as increasing the trade flows of today, we want to generate the ideas of tomorrow, which is why they announced a £200m joint research fund, to build on our position as China’s second largest collaborator in terms of joint research papers. We all need China to succeed: to continue to grow, and to play a responsible and active role in international affairs and in Asia. As part of our new approach to the Asia-Pacific we have increased the number of UK diplomats in Embassies across Asia including here in Manila, many more British Ministers are travelling to the region, and we are on track to open five new diplomatic posts in Asia by next year. I re-opened Britain’s new Embassy in Laos in fourteen months ago, making us one of the very few European countries to be represented in every single nation of ASEAN. We see the potential of ASEAN both as an international organisation and as a group of sovereign states. We have deep connections with ASEAN countries that reach far back into history and we recognise this region’s strategic position at the heart of Asia-Pacific and astride the world’s major trading arteries. A stable, secure and prosperous Asia-Pacific will only be achieved in the long-term if countries in this region are able to change, to innovate, to stay competitive through strengthening free trade, individual liberty and the rule of law. My message today is that as we strengthen our ties with countries across Asia, we will of course have a particularly close bond with nations that share our values most closely and those that are ready to take the reforms necessary to advance free and open societies. Some people think Asia’s economic success has called into question the value of open economies and societies. Seeing the prolonged effects of the 2008 financial crisis in the EU and US, those people argue that Asia’s rise proves autocratic forms of capitalism are just as capable of economic success as stable democracies, and that countries can do without the values of individual liberty, free-markets and the rule of law. Speaking here in the Philippines, this flourishing Asian democracy, fresh from my visit to another vibrant democracy over the water in Indonesia, I say that these people are drawing the wrong conclusions. Universal values are not just right in principle, reflecting the aspirations of people everywhere; they also work in practice. In an ever more competitive world they will be just as important to Asia’s prosperity as they are to that of the West. It is true that over the course of the last thirty years, countries have made progress under very different systems and from very different starting points. There has been no single political recipe for Asia’s economic miracle. Economic growth has been achieved in vibrant parliamentary democracies in Japan, Taiwan and of course increasingly now in the Philippines, while Vietnam and Laos have taken other paths, and China’s economic growth has enabled more than half a billion people to lift themselves out of poverty. Actions have clearly mattered more than ideology and states have had success when they have taken steps to attract foreign investment, support export-oriented businesses and open up to global trade. But demographic, economic and political shifts are starting to pose new challenges for countries in this region. Populations are ageing in some parts of the Asia Pacific, if not yet in the Philippines. The middle-income trap is becoming a serious risk and states are struggling to meet the aspirations of their emerging middle classes in some cases. Corruption has emerged as a serious cause of public discontent in many countries, regardless of their political system, and Asia faces fresh competition from the emerging markets of Latin America, the Gulf and parts of Africa. If governments want to address these long term challenges, they cannot just do more of the same. To sustain their progress, in our view, countries in Asia Pacific need to shift their economies up the value chain, raise productivity and innovate. They need to move from technological catch-up to exploring the technological frontiers. In Britain, we believe countries in this region, of course, have to follow their own routes to prosperity, taking into account their traditions and history. There is no uniform solution to the challenges you will face in the coming years and indeed success is about innovation, not sticking to the inflexible models of the past. But we know from our experience in the United Kingdom that when it comes to economic performance, values add value. To break through the middle income trap and achieve sustainable growth and long-term prosperity, a commitment to free societies and open economies of the kind I have encountered in Indonesia and the Philippines is, in my view, vital, matched by sensible policy and good leadership. In Europe we are working to get our economies back on track and in Britain we are succeeding. We need to tap into vibrant and open societies and enhance competitiveness. I believe five principles underpin sustainable growth and will be crucial for the stability and success of Asian countries, as they are for many other countries, as they adapt to a changing world. The first principle is that smaller is generally better when it comes to the state. The public sector should be lean but effective, and governments bold enough to allow market forces to drive enterprise and finance because economies dominated by public ownership stifle dynamism. Success can seem easy for state owned enterprises with access to cheap credit from state-owned banks and benefitting from the indulgence of regulatory authorities that naturally tend to serve the interests of the state. But this stifles competition, makes life harder for entrepreneurs, and limits innovation. The suppression of competition, and the clash of political interests and commercial objectives within state-owned enterprises can cause inefficiency, inflexibility and stagnation; and it can lead to situations where the lifespan of failing companies is artificially extended, which just makes their inevitable collapse more painful and costly. In the UK, Margaret Thatcher’s government fought a long and difficult struggle to free our economy from the shackles of an oversized state and too much public ownership. History has shown it the right course of action. Formerly publicly owned companies such as Rolls Royce, British Aerospace and BG Group have flourished in the private sector, and Britain’s economy has been greatly strengthened as a result. The second principle is that states need the rule of law to encourage investment, support fair and open competition, ensure innovators are able to benefit from their ingenuity and reduce corruption and its economic costs. Private and foreign investors do not feel encouraged to help dynamic companies expand if the judiciary cannot be relied upon to protect their interests impartially and in accordance with the law. A brilliant scientist does not have much reason to labour years for a technological breakthrough if his or her ideas can be stolen with impunity. And innovative foreign firms will be reluctant to open cutting edge factories in countries where their hard earned technological advances can be imitated while the state turns a blind eye. One of the reasons the UK has become a biotech hub, home to 4,500 companies turning over £50 billion a year, is that our strong, independent and well-respected legal system gives companies confidence they will get the return they deserve on their remarkable innovations. And both for businesses to have full confidence in the rule of law, and for the institutions of government to retain their legitimacy, it has to be possible to hold the powerful, and the state, to account, in the rare cases where people fall short. 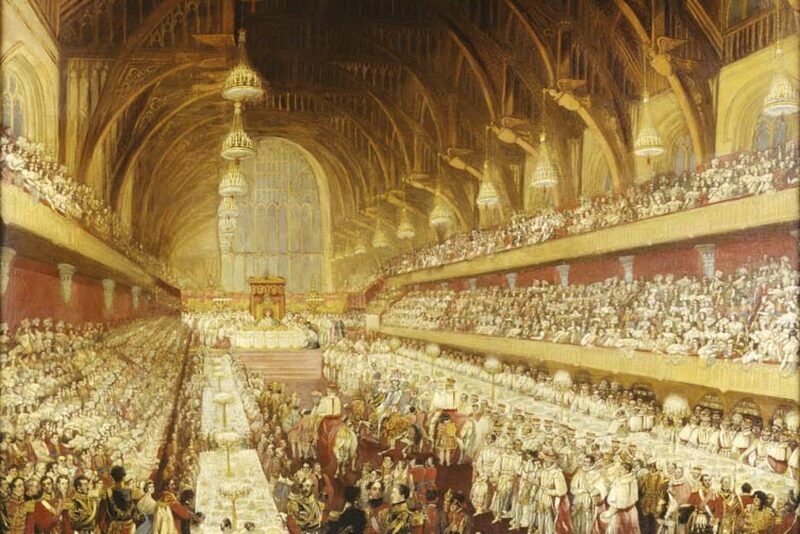 In the UK, five Members of Parliament were recently sentenced for claiming fraudulent expenses. Showing that all of us are accountable before the law is essential to ensuring public confidence in our institutions, and it is essential to the health and resilience of those institutions themselves. Throughout this region too, courts can and should play a vital, active and transparent role in tackling crime and corruption wherever they occur. The third principle is respect and protection for individual freedoms. This is essential to unlocking a nation’s creativity and ingenuity and a prerequisite for long-term stability. I do not believe that you can achieve the very best in innovation in a political environment that prevents the free exchange of ideas. And I reject the proposition that what have long held to be universal values are in fact merely “Western” values; that freedom of expression, association or religion are somehow less relevant in Asia Pacific than in Europe; or that a vibrant civil society, democratic institutions and an independent judiciary are good for some countries but unsuitable for the populations of others. British inventions from the steam engine to jet propulsion, the light bulb to the television and from the telephone to the World Wide Web all owe their existence not just to brilliant individuals but to a free and open intellectual and scientific culture, a culture that encouraged critical thinking, scepticism and debate. The freedom to question, to criticise and to propose new solutions are essential to the scientific method and a political system that values those freedoms does not just support a strong scientific culture at home, it attracts talent from overseas, and freely connects its own thinkers and institutions to great global currents of ideas and debate. In our digital age, those freedoms must extend online as well, and a vibrant and open internet can drive growth, development, innovation and good governance. The fourth principle underpinning future success is a commitment to free trade. High tariffs, strict investment controls or obscure regulations designed to favour domestic over international firms may keep competition at bay for a while but they can raise consumer prices, and even the relief they offer to home companies often turns out to be illusory or short-lived. Protectionism prevents a country’s businesses developing the competitive edge they need to prosper internationally and countries that do not open up to competition run the risk that this fast moving world will pass them by. The UK has long been a champion of free trade, which we know from experience to be an engine of national and global growth. The EU-US free trade agreement negotiations launched during our G8 Presidency will be worth £100 billion a year to the EU economy, £80 billion to the US, and as much as £85 billion to the rest of the world. Britain is an energetic advocate of EU free trade agreements with Asian countries, including those currently under negotiation with Thailand and Japan, and possible future agreements with China, Indonesia and the Philippines. We also warmly welcomed the outcomes of the Bali round of WTO negotiations and I pay tribute to the Indonesian government for its generous hosting and exemplary chairing of that meeting, which produced the first multilateral trade agreement in almost twenty years. More still needs to be done, but Bali was a good step in the right direction. The fifth principle is investment in human capital and infrastructure. High-quality education, training and public utilities are vital to support sustained economic development and innovation. They have made a huge contribution to the success of many countries in Asia, including China and South Korea. Hundreds of creative start-ups have sprung up around Britain’s world-class universities in places like the Cambridge Science Park. But this investment is always an unfinished effort. That’s why the UK government is undertaking the biggest education reforms in our history, the biggest road enhancement programme since the 1970s and the largest programme of investment in our railways since the nineteenth century. So sustainable economic development does not imply the absence of the State but it does imply the State focusing its efforts in the areas where it can best add value. Some aspects of these principles pose a particular challenge for those states like Vietnam, Laos and China that retain a one-party system of rule and a legacy of state ownership. But domestic reform efforts can lead in the same direction. At the recent Third Plenum, China’s leaders announced that the market would play a decisive role in the Chinese economy and set the goal of comprehensive reform, including issues like governance and the judicial protection of human rights. The Plenum recognised that all types of reform are inextricably linked and this is clearly something to be welcomed. Indeed, we are actively supporting many of these reforms. Experience elsewhere demonstrates that an effective and independent judiciary, transparent regulation and a market-driven financial sector work together to increase business confidence and support economic dynamism. So comprehensive reform will be an opportunity for China to ensure its growth is sustainable for the long term, which is good for China and good for the global economy as a whole. South East Asian countries also face pressing governance challenges of their own. Thailand is struggling with deep political tensions, Cambodia must find a way to overcome the current political impasse and pursue reform, and Burma needs to resolve longstanding conflicts and build on the progress it has made towards genuine democracy. Here in the Philippines, you are seeking to institutionalise the gains you have made in terms of good governance, improve service provision and build the foundations for long-term growth. Democratic institutions do not automatically produce smart policy or effective leadership and in a digital age, governments, whatever their nature, must run faster to keep up with the demands of their citizens, or “bosses” as I understand President Aquino sometimes refers to the Filipino public. A pluralist democracy will only truly unlock the economic potential of a society if government responds to the wishes of its electorate, ensures strong and open institutions, fosters education and innovation, and builds a robust framework that allows the market to function properly. Democracy is about more than regular elections, it’s about what happens in between. Successful democracies drive governments to share the fruits of economic growth with the many not just the few, to invest in public goods like health and the environment, and strengthen societies and improve public participation. However, global stability and growth depend not just on what countries do themselves, but also on what they do together and organisations such as ASEAN have an important role to play. With the right level of ambition, the planned ASEAN single market, highly competitive and more integrated into the global economy, is a real opportunity to deliver huge benefit to the 600 million people who live in ASEAN countries. ASEAN can also contribute to advancing international security, including through its important efforts to regularise conduct in the South China Sea. I urge all parties to these disputes to seek peaceful and cooperative solutions in accordance with international law. The UK, although not a claimant in these disputes, has an interest, as all nations do, in peaceful and rules-based resolutions. In the long term, ASEAN will also reinforce regional stability through the connections it builds between people, businesses and governments and its increasing focus on the values of human rights and open and accountable government. For all these reasons, engaging ASEAN – as an institution and as a group of sovereign states – is central to the UK’s Asia policy. So, in the international system and within states themselves, a principled and rules-based approach will be critical to stability and growth in the long term. Countries in Asia Pacific have, in their different ways, made remarkable progress in recent decades but on some of the paths they have taken until now, progress will get harder as the global landscape changes. As Asian economies reach the technological frontier, their own pioneers will reach furthest when states embrace the principles of openness and freedom that I have outlined today. In Britain we will continue our strong engagement with countries across this region. In a rapidly changing international system, where there are more centres of decision-making than ever before, strengthened bilateral ties are vital to advancing our interests and securing the common good. But at the same time we will continue to argue for these vital principles of economic liberalism and political freedom, because we believe them to be vital to the success of all countries of the Asia Pacific and the wider world, because our economic fates are increasingly tightly bound together. Asia has astounded the world with its progress in the last three decades, and I confidently hope it will produce the new ideas, the new thinking and the new discoveries to surprise and benefit all of us for many decades to come.